During the last few weeks we have had a number of incidents around campus that have required a great deal of adult intervention. While this is not uncommon for middle schools, it did get me thinking about the dichotomy that exists in the development of the middle school mind. On the one hand, our students are growing up and exerting more independence, while on the other hand, they still really need us. The one thing that is a constant in life is change. But why do our children have to change and grow up so fast? And why do they continue to make the same mistakes over and over again? Adolescents slowly begin to move out of the family circle in order to become more independent. This can lead to solitary behavior. It also fuels the need for friendships. Companionship amongst their peers becomes extremely important for adolescents. Adolescents begin to look for a place to belong in the world. They look to their friends for protection and a sense of belonging. Developmental psychologists often stress the importance of friendships during adolescence. Adolescents begin to form their own identity. They begin to look to their peers to find out what is acceptable or ‘cool’. Music, movies, video games, fashion, popular culture, to name a few, become part of their identity. While adolescents are learning about themselves, they also become close studies of the people around them. They begin to develop strong opinions about the people in their lives. In addition, as part of forming an identity, an adolescent starts to form ideas around social organizations, political and economic systems, and of course, popular culture. They become the steward of what is cool and what is not. While everyone experiences growing up differently, but you may recognize many of the behaviors listed above in your own teenager. In addition to the need to become independent, adolescents also have a strong need to belong. This is the dichotomy I mentioned earlier. As parents and educators, we must give our children the room they need to forge their own identities while at the same time continue to nurture and support them - "There are two lasting things we give our children. One is roots and the other is wings." This can be tricky but it is very important. Next week I intend to write about the difference between fitting in and belonging. In celebration of Valentine’s Day, ASB will be selling Candy Grams this week during lunch in the North Atrium. For $0.25, students and parents can buy one Candy Gram (a card and piece of Dove Chocolate) with a maximum of 8 sold per student each day. A parent table will be available for you to buy your child a Candy Gram in the front office on Wednesday, February 6th from 1:20 - 1:35 and Thursday, February 7th from 3:20 - 3:35. Please encourage students to bring small bills ($1s and $5s). Candy Grams will be distributed throughout the day on Thursday, February 14th. 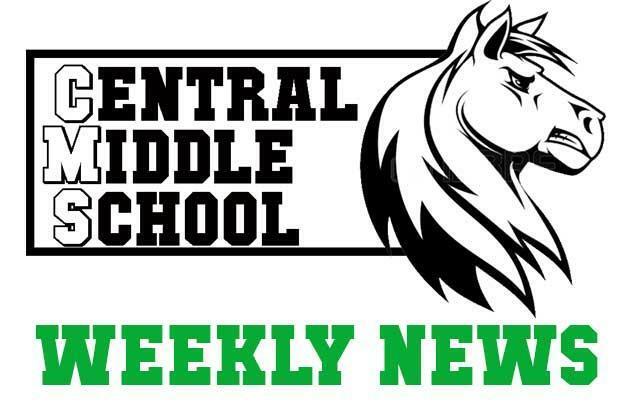 Auditions for the annual CMS Talent Show are almost here. Students can sign up for a time slot in the front office beginning next Monday, February 11th. Auditions for talent and hosting will be held the week of February 25th - March 1st at lunch. The Talent Show will be held March 21st during Second Step. February 27th is the final deadline to enroll your child on the 8th grade Washington, DC and NYC trip from June 17, 2019 to June 21, 2019. You won't want your student to miss this once in a lifetime opportunity. Learn more about the trip and sign up atwww.efexploreamerica.com/2101599md. Thanks to funding from the City of San Carlos, SCSD is going to get two new crossing guards at the following locations: San Carlos Ave./Wellington and Club Drive/Exeter. If you know of a neighbor or relative who may want to apply to help out a few hours each school day, please contact All City Management Services at (800) 540-9290 or visit http://acmssafety.com/employment/ . The goal of his project is to help raise awareness about sea turtles and get 500 Likes on his YouTube video. Please view the 3 minute YouTube video he created to help spread awareness and "Like" his video. SCEF Online Teacher Outing and Summer Camp Auction Starts February 4th at 9am! Start bidding on February 4th at 9am. Bidding ends February 12th and 10pm. This is your chance to win a fabulous live auction item! Purchase a Lucky on Live raffle ticket. The lucky winner will choose from a selection of Starlight Gala live auction items. This year’s offerings include: Your own parking space downtown, Trip to NYC and the Tony Awards, Mexico Vacation, Dinner for 20 in the TOWN boardroom and more. See: http://www.scefkids.org/LOL2019 for the complete list.